Competition in the telecom industry is getting tough. To be the best service provider in customer’s eye low rates will not do the trick. While cost is equally important, you also have to offer outstanding coverage and performance, friendly customer support and something extra to make the user special. To attract new customers and to keep you current user it is necessary to keep updating your plans and services. If we consider all these factors, the first name that comes to mind is Zong. 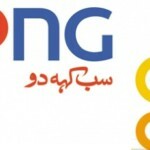 Zong is one of the top cellular companies in Pakistan. It is quite popular among people due to quality services, low rates, and incredible bundles or packages. It not only gives a nationwide coverage but also offers minimal charges on all services, reliable network and functional connectivity of internet for all 2G, 3G, and 4G users. Zong always comes up with some exciting offers to keep the user engaging with them. Zong is best known for its low calling rates and this time Zong has again proved it with the monthly unlimited offer. If you desire to stay connected with your special ones by paying less than Zong is giving you the chance to make unlimited calls for just Rs 255 + tax per month. The subscription process is as simple as always; you have to type “PK30” and send it to 522. Hold up you will receive a verification message which confirms your subscription. Get unlimited Zong to Zong minutes with the monthly unlimited offer. You will be provided with 500 SMS per day as an additional incentive. Monthly unlimited offer is valid only for prepaid customers of Zong. The offer does not include other networks or international numbers. SMS are valid for all local networks. If you have enough balance of Rs 255 + tax than offer will automatically renew on the 30th day; Otherwise, it will expire. On expiration of the offer, default rates will apply. Advance income tax and FED taxes will apply to different usages. As this offer is auto-renewable, you can deactivate it anytime by sending “unsub” to 522. Zong monthly unlimited offer is one of its kinds. Zong is giving you unlimited calling minutes at the best rates so you should avail this excellent opportunity now to enjoy an infinite number of calls from Zong to Zong.